Social and mobile game developer Dragonplay has partnered with King Features Syndicate to launch Popeye Slots on Google Play. 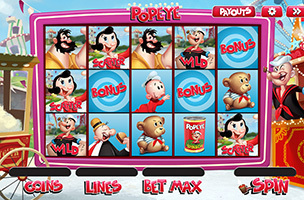 The game sees players betting virtual winnings on slot machines featuring characters from the classic Popeye cartoon, including Olive, Bluto, Wimpy, Swee’Pea, and of course Popeye himself. The game features multiple slot machines in a carnival setting, as well as a mini-game that sees players catching flying spinach cans for Popeye at the fair. Players of Dragonplay’s Slot City Game can unlock the theme as they level-up. Popeye fans might recognize the game’s name as one used by a previous mobile app, created by Ludia and released back in April 2013. That game is no longer available. Popeye Slots and Slot City are available for free on Google Play. Check back soon to follow the game on AppData, our tracking platform for mobile and social apps and developers.